It all began in a quaint shop in Waveland, Mississippi in 1996. A few dedicated craftsmen came together to create long-lasting cabinets that were as beautiful as they were functional. Since then, our facilities may have changed but our tradition of crafting exceptional cabinets that last has not. Continuing to use hand-selected woods, top-of-the-line hardware and hand-applied techniques, our extended family of craftsmen continue to build furniture-quality cabinets that are customized to meet any need, period. 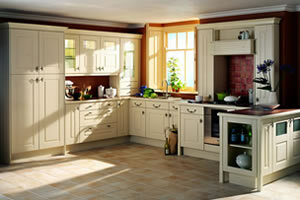 Every cabinet that is crafted by our specialists has its origins in the dreams of our consumers. 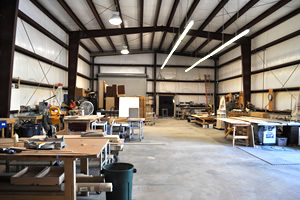 Hearing about, developing and designing your vision is where the C&D Cabinets process begins. From there, our dedicated craftsmen hand-select the most beautiful hardwoods in North America and begin to craft and finish each individual piece by hand in a way that highlights its hidden beauty. Once your cabinets have been designed, our team reviews the order before going into assembly. Each custom order receives a white glove inspection guaranteeing accuracy and then carefully packaged and sent to your home. We are the only ones that can sell C&D Cabinets products to customers. Why? Because we believe our team provides invaluable service that can help make your project a success. C&D Cabinets facilitates all aspects of the project: measuring the space, developing the layout, ordering the product and arranging for custom installation. We also stand behind the project, addressing any challenges that may arise. This degree of personalized service and attentiveness can only be accomplished at a local level.